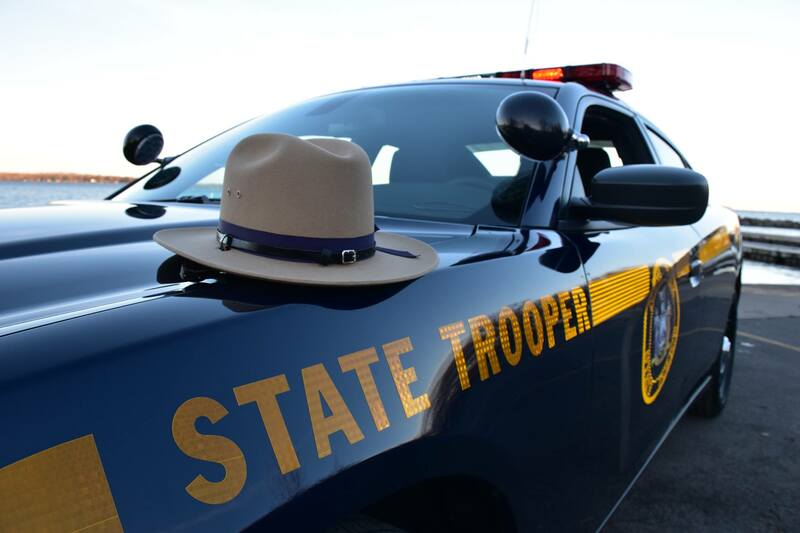 New York State Police cruiser with Trooper’s hat. New York State Police Superintendent George P. Beach II is saddened to announce the death of Trooper Joel R. Davis. Trooper Joel R. Davis murdered by Justin Walters on July 9, 2017, after responding to a call for shots fired. At approximately 8:09 p.m. on Sunday, July 9, Trooper Davis responded to a call of shots fired during a domestic dispute at 34371 County Route 46 in the town of Theresa, Jefferson County. While approaching the residence, Trooper Davis was shot once and killed. The suspect, 32-year old Justin D. Walters, surrendered to other State Troopers without incident. Walters is an active duty Army infantryman who is stationed at Fort Drum. Walters’ wife, 27-year old Nichole V. Walters, was also found deceased at the scene. 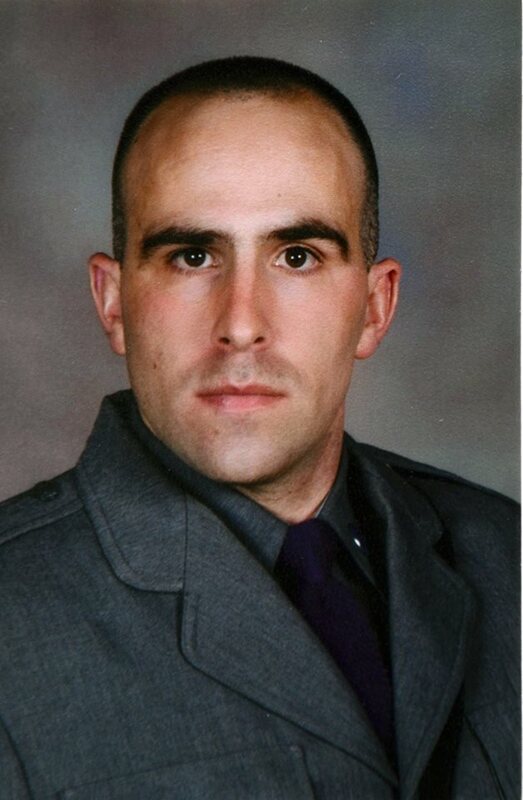 Trooper Davis, of Evans Mills, NY, was 36 years old. He graduated from the 199th session of the Basic School on May 29, 2013, and was originally assigned to Troop D, SP Watertown, before receiving his current assignment at SP Philadelphia. He is survived by his wife and three children. 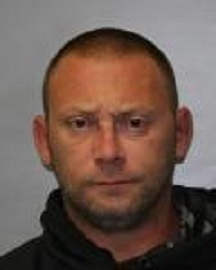 On July 14th, 2017, the New York State Police arrested Brian Waller, 40, of Dunkirk, for Driving While Intoxicated. Waller was pulled over on I-86 in Stow for speeding and after failing several SFSTs, Waller was placed under arrest. Waller was transported to SP Jamestown where he provided a breath sample of .14. Waller was then processed, issued tickets returnable to the Town of North Harmony Court, and released. Waller is scheduled to appear in the Town of North Harmony Court later in the month to answer the charge. 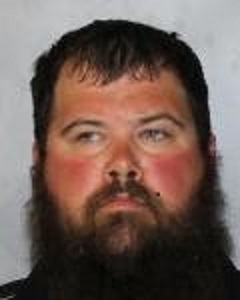 On July 13, 2017, New York State Police Troopers arrested Casey J. Tunney, 31 of Hume, NY, for Aggravated Driving While Intoxicated. Troopers responded to the report of a one-car accident on Pond Road in the Town of Hume. Upon arrival, they observed a vehicle partially submerged in the water from a flooded stream. Upon interview of the operator, the odor of an alcoholic beverage was detected. SFSTs were conducted with Tunney subsequently failing them. He was arrested for Driving While Intoxicated and was transported to SP Fillmore where recorded a 0.20% BAC. He was also charged with Aggravated Unlicensed Operation 3rd and operating an uninspected motor vehicle. He was released on tickets and is due in the Town of Hume Court on 7/27/17 at 6:00 P.M.
On July 12th, 2017, the New York State Police arrested Caylen Payne, 35, of Lakewood, Ohio, for Driving While Intoxicated. Payne was pulled over for committing a traffic violation on Route 394 in Falconer and after failing several SFSTs, Payne was placed under arrest. Payne was transported to SP Jamestown where he provided a breath sample of .16. Payne was then processed, issued tickets returnable to the Town of Ellicott Court and released. Payne is scheduled to appear in the Town of Ellicott Court later in the month to answer the charge. Anne Heller, 46, of Amherst, NY, for DWAI Drugs on July 12, 2017, NYSP Not too happy to be heading to jail. On July 12, 2017, at approximately 7:54 am, Troopers arrested Anne Heller, 46, of Amherst, NY, for DWAI Drugs following a traffic stop on Niagara Falls Blvd in the City of Niagara Falls. Troopers stopped the vehicle Heller was operating after Niagara County 911 received reports of it being operated in an erratic manner. Heller displayed several signs of impairment during an interview. Subsequent to Standardized Field Sobriety Testing, Heller was taken into custody and transported to SP Niagara where she was evaluated by a Drug Recognition Expert and determined to be impaired by drugs. Heller was transported to Mt St Mary’s Hospital in Lewiston where a blood sample was taken and then released on appearance tickets. (Vestal, NY – July 14, 2017) On July 11. 2017, at about 4:10 a.m., New York State Police at Binghamton arrested Melissa D. Storti, age 40, of Binghamton, NY for the misdemeanor of Aggravated Driving While Intoxicated with a B.A.C. result of .19% and other traffic violations. This arrest occurred after troopers responded to a Broome County 911 report of an erratic operator on State Route 434 in the town of Vestal. An investigation determined that Storti was driving while highly intoxicated. She was issued tickets for the Town of Vestal court on July 25, 2017. Kayla L. Rothwell, age 25, of Moravia, NY for the misdemeanor of Criminal Possession of a Controlled Substance 7th degree and other traffic violations. This arrest occurred after a trooper stopped to check on an occupied vehicle that was stopped on the shoulder of Interstate 81, without the emergency flashers on, in the town of Marathon. As a trooper approached he saw the driver Rothwell as she was actively using heroin by injecting into herself. A search of the vehicle found a small amount of heroin, several hypodermic syringes, and other drug related items. Rothwell was not found to be driving while impaired. She was issued tickets returnable to the town of Marathon court on July 19, 2017. 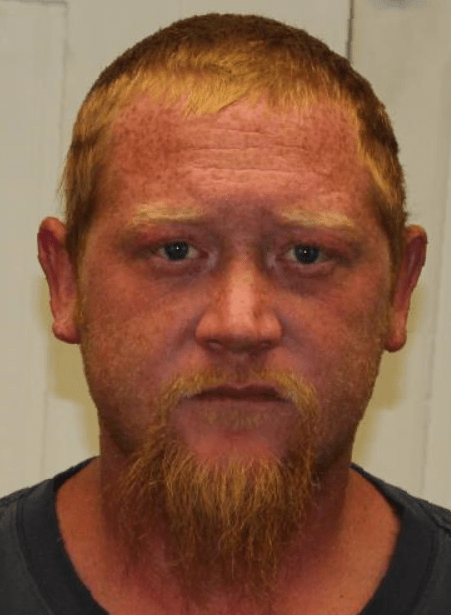 (Afton, NY – July 10, 2017) On July 7, 2017, at about 9:47 p.m., New York State Police at Sidney arrested Daniel J. Eisele, age 33, of Castle Creek, NY for the felony of Driving While Intoxicated and other traffic violations. This arrest occurred after a traffic stop when Eisele was observed driving a vehicle without a work plate lamp while on County Road 39 in the town of Afton. An investigation determined that he was driving while intoxicated. The New York State Police reports that Eisele refused to submit to a breath test. This DWI arrest was a felony because he has a prior conviction for DWI within the last 10 years. Eisele was arraigned in the town of Afton court and was released without bail being required. His court date was on July 11, 2017. On July 11, 2017, Troopers arrested Susan E. France, 59, of Auburn, New York for driving while intoxicated, operating a motor vehicle with a BAC greater than .08%, littering, failure to keep right and moving from lane unsafely. France was stopped on East Lake Road in the Town of Owasco after throwing a cigarette out the window. She was placed under arrest after failing multiple standard field sobriety tests. France was transported to SP Auburn where she provided a breath sample of .09% BAC. France was issued uniform traffic tickets returnable to the Town of Owasco Court on July 17, 2017. Police called a sober driver to pick up Douglas Julian after he was charged with DWI; why didn’t Julian simply call the same driver before he drove? On July 9th, 2017, Troopers from SP Mayfield were almost struck by a black Hyundai Sante Fe traveling erratically Northbound on State Route 30. 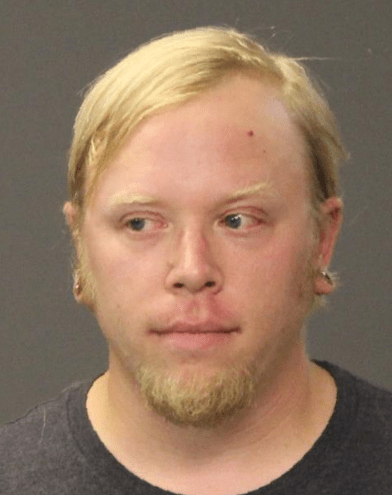 They performed a vehicle stop and upon an interview of the driver, Douglas R. Julian, 37, of Mayfield, NY, noted the odor of alcoholic beverage coming from him. An investigation was performed, leading to Julian to be arrested for DWI. He was transported to the Mayfield barracks and processed for Felony DWI. He was released to a sober third party, with tickets to appear in the Town of Northampton Court on July 13th, at 3 pm. This entry was posted in Arrest bookings, Arrest warrants, DWI arrest photos, DWI Arrests by State, DWI crash photos, DWI news articles, Illegal drugs, repeat offender, Top Cops and tagged Aggravated Driving While Intoxicated, Aggravated Unlicensed Operation 3rd, Anne Heller, Brian Waller DWI arrest, Casey J. Tunney, Caylen Payne, Daniel "No Blow" Eisele, Daniel J. Eisele felony DWI, Drug Recognition Expert, Justin D. Walters, Kayla L. Rothwell injecting heroin, Melissa D. Storti, New York State Police, New York State Police Superintendent George P. Beach II, Nichole V. Walters, Susan E. France, Trooper Joel R. Davis.. Bookmark the permalink.